I am profoundly grateful that the work we are doing is being recognized. 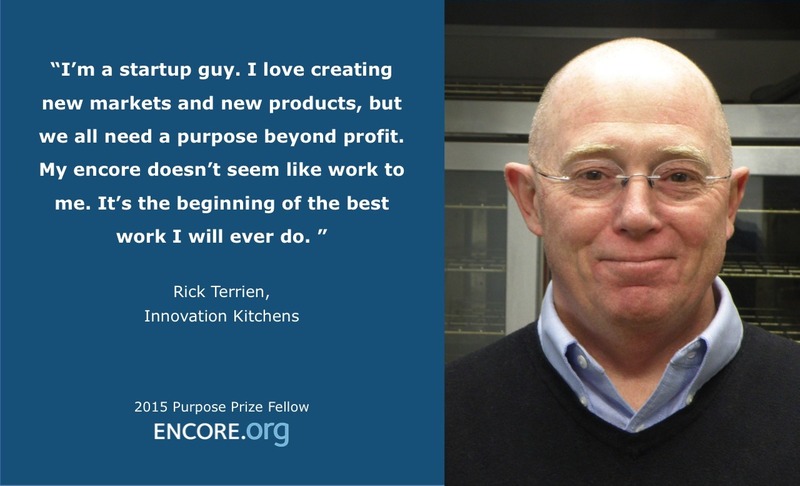 I've just been included in a group of remarkable people creating inspiring new careers as a Purpose Prize Fellow. "Encore.org is building a movement to tap the skills and experience of people in midlife and beyond to improve communities and the world. Our ultimate goal is to create a better future for young people and future generations." Everyone I work with, especially my co-workers with disabilities at the Wisconsin Innovation Kitchen, is grateful for this recognition.